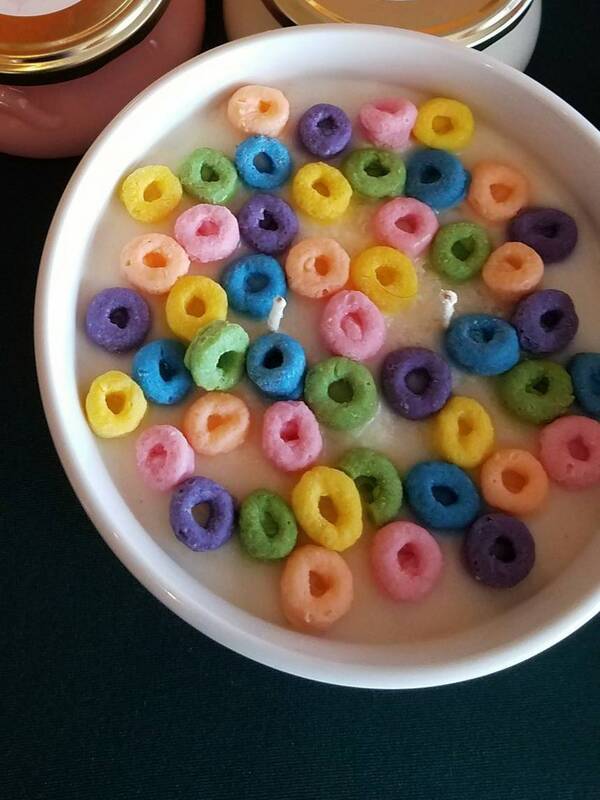 This cute candle looks exactly like a bowl of Fruit Loops Cereal and smells exactly like it too! Your family and guests will be completely fooled. These double,hemp wicked, soy candles make fabulous fun gifts for any occasion. I have added some beeswax to the soy wax to make the candle last even longer and burn more evenly. Always remember to establish a burn pool the first lighting. Don't blow out the candle until the melted wax touches the sides of the bowl. Your candle will burn without tunneling and last longer for subsequent lightings. After the burn pool is established you can burn the candle without the melted wax reaching the sides if you so wish for any time period. The bowls vary in color without choice options.